That reminds me! I accidentally took your mirrors down a while ago. Please wait whilst I update them for you. I noticed that you were getting complaints about compression formats, so I’ve taken the liberty of recompressing them myself in two other formats. All of these should operate at gigabit speeds and are automatically synced. If you’d like FTP/SCP/other access to this folder, ping me an email and I’ll sort it out for you. This is a more permanent setup, so shouldn’t go down any time soon. Thank you so much, great work! This is for linux, how about windows? Insert the SD card into your SD card reader and check what drive letter it was assigned. You can easily see the drive letter (for example G:) by looking in the left column of Windows Explorer. You can use the SD Card slot (if you have one) or a cheap Adapter in a USB slot. Select the drive letter of the SD card in the device box. Be careful to select the correct drive; if you get the wrong one you can destroy your data on the computer’s hard disk! If you are using an SD Card slot in your computer (if you have one) and can’t see the drive in the Win32DiskImager window, try using a cheap adapter in a USB slot. I have succeed to write the image to SD card. Glad I could be of assistance. just a linux newbie here. Can I use raspi-config on this one or is it incompatible even if I install it with apt-get? Currently using the official raspberry pi image which is full of unnecessary bloat for me. My usage just includes Samba, minidlna and transmission which I configure with ssh. I don’t use the desktop GUI but I might sometime in the future. Hi, and thanks for info. I’m new to the pi, and have a few queries: first, how to move swap file ? Firstly – Thanks for this img file – its super useful! 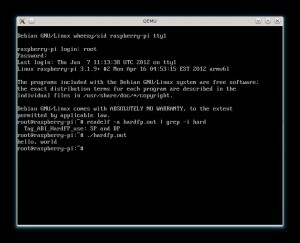 As a relative newbie to the Linux and Raspberry Pi scene, i struggled a bit with the expansion of the file system once it had been copied to the flash drive. – Missing p2 on the end of the device to resize the correct partition. In response to you syd – with this distribution after reboot you get back to the login prompt… I’ve not seen any noobs screen on this distribution. Thank you Dan your steps work like a charm! Thank you darkbasic for an awesome built. Man you need to receive more recognition for your work. But…. I’ve now got no swap file! That’s not a lot of memory. Will have to remind myself how to create a swapfile in linux now!! Actually that was quite easy – well I’m not creating a partition, just a swap file, but..
reboot and it will remember the swapfile. If you want to make the swapfile more than 128Mb just change the “count=131072″ to whatever Kb you need. Slight edit – the mkswap command is essential – you MUST execute that. Yes my method removes the swap file all together, should have pointed that out really, but i’ve never found that my pi actually uses the swap file at all, so dont have a use or need for it being there. I guess it depends on what your using the pi for so if you need it, fair do’s. Now… do I get a Pi B+ or not… hmmm. whatt they’re discussing online. You definitely undderstand how too bring a problem to light and make it important. More and more peoole have to look at this and understand this side of tthe story. This is a very stupid question that I do not know. I just installed the Darkbasic minimal image in my Rpi, I plugged it into my TV and it boots up perfectly fine but then it asks me for a username and password and I have no clue what it is, any clues guys. What’s the default username and password combo for Darkbasic minimal image..? I see the root password is raspberry, and what’s the username pi or root..? I am sure I have tried them all and it is not working for me, any ideas as to why..? What’s wrong with “The *root* password is raspberry”? Root password is *not* raspberry. I have verified the keymap. Did you change it in the last update? Are you sure? I didn’t change it and I already flashed the new image and it works flawlessly. Can someone else please confirm? Could have been an issue with me specifically, I didn’t verify the hash. But, strange. I ended up installing stock wheezy for now. OK, I see, its the same as with the Questions before. Since I installed rpi-update I decided to stick with the kernel version it pulls. first of all when i check the memory usage it doesn’t use 14mb of ram and it thinks i have only 220mb. even though my pi has 520mb ram. I simply forgot to add it, next version will have gpu_mem_16 by default. Since peoples kept asking more and more features in the kernel it is possible that latest version uses more than 14MB of ram (the very first version of the image used only 14MB). Hi, I think your site mght be having browser compatibility issues. I think you will need a new firmware, but I already ordered a B+ and I will release a new image before the end of the month. Put it in the new B+ … boots fine, USB looks good, Ethernet doesn’t come up. will try noobs to verify it’s not the hardware. The present image does work correctly on both the B and the B+ – but as seen as apt-get update, apt-get upgrade is performed – the card will no longer work in the other machine. I had problem with install ssmtp package because missing “127.0.0.1 raspberry-pi” in /etc/hosts :). How u do Hard Float binaries? Send me please some link’s about it :). Yes fine with the compressed image. But I don’t want ‘root’ login by default. Can I set ‘pi’ login with normal user authorities. it *should* work, I’m guessing the kernel isn’t arm7hl though is the clincher. Could this be the case? and if so, can I just compile a stock 3.12.23 using your config, or do you have some special patches applied? Could you make one with hardfp? What do you mean? It *is* hardfp. Then I’m not certain I understand why splunkforward (see post above) doesn’t work on your wheezy distribution but would work on raspbian; could you point me to the right direction? I’m happy to provide you further information on this. Why I don´t get any update notifications? Will this image support the new Pi B+ model? Thank U for your good work ! It works with SSD card 8 Gb. I’ve got a “small” problem. The / partition is too short for me : 800 Mb. How to change it easily ? Thanks for this image! I have a problem with ETH communication though, it fails, does not even reply to PING, in version B board. In version A board it works. The regular Wheezy image works in both boards. Anybody else having similar problems? Thx! your post is definitely very useful. I’m thinking about getting rid of the swap partition and use a file as swap instead. Any objection? actually mine is running without using swap – do we need it? – Used w1-therm module to capture temperatures from the sensor on giop4. Has anyone managed to get the Pi camera module working on this image? If anyone has any insight, I’d be very grateful. I love this minimal image. Very nice image. I downloaded it yesterday and now using it on my Pi B model as a headless server. Installed my Wifi dongle and Aria2 on it. All seems to work fine. A small query ? Can we install RPi-Monitor on this ? I looked at the website – http://rpi-experiences.blogspot.fr/p/rpi-monitor-articles.html. But I cant seem to find the command line installation steps. I have installed and used Rpi-Monitor on the full blown image of Pi. 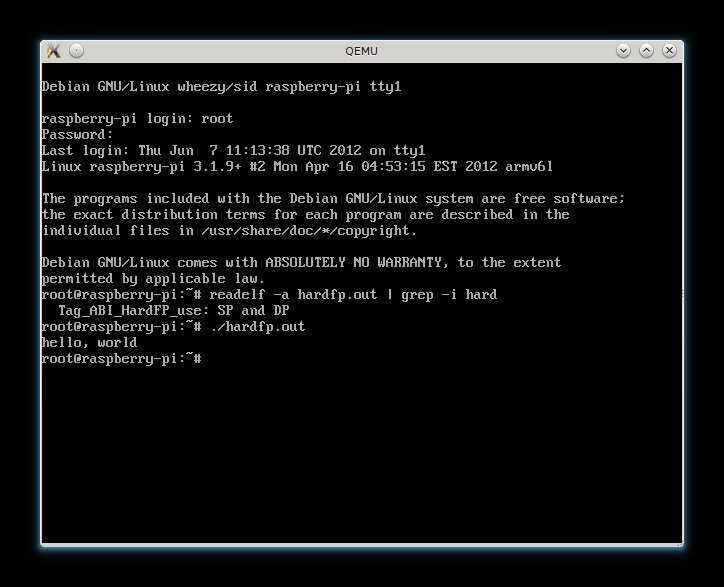 But that required configuring VNC server (for console) and installing it via pi store. I want to keep things at minimum and install it via command line. I think it requires Java and HTML5 too. So not sure how to go about it. tx darkbasics and guys for the work. best than moebius distro. goodjob. Thanks goutbulgare for the link. Does this image include GUI? Hello, what changes did you make from the 2013 09 23 2014 07 26 img ? with the new img i get bad uart data. interesting and this is on the raspberry-pi B not the B+ right? Alright well with the raspberian wheezy img i get correct data.. i beleive that you are using the same kernel version correct so could the issue i am having be with the configuration ? Hello, what changes did you make from the 2013 09 23 to the 2014 07 26 img ? with the new img i get bad uart data. on the raspberry pi b. Where can I find the kernel incl. sources and/or headers for development ?